This nickname-name is the go-to choice for our favorite action heroes and many a real boy, too. 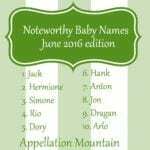 Thanks to Clio for suggesting Jack as our Baby Name of the Day. The enduring John can be found in nearly every language, thanks to John the Apostle and dozens of notable Johns who shared his name. There’s no Jack in the Bible. He comes along later, thanks to that alchemy of medieval nickname-forming. John and Johan became Hankin and Jankin and even Jackin, before eventually shortening to Jack. -kin was a common diminutive form in Medieval English, making it easy for a name to pick up a k sound – think of all those Hopkins, descended from ancestral Roberts. Back in the day, Jack was the equivalent of regular Joe – an everyman name. Jack is also a familiar figure in nursery rhymes and folk tales. He’s got his bad traits, but also a double scoop of courage and cleverness. Yes, he might have sold the cow for beans, but he also outwits the Giant and pulls out a plum. Frost on your windows on winter mornings? That’s the handiwork of J. Frost. On history of use alone, it is tempting to call this one a classic. The name usually charts in the US Top 100, and has made it as high as the Top 20. But Jack always trailed perpetual #1 John. Only a handful of nicknames have ever eclipsed their formal versions – Betty in the 1930s, and Molly and Liam in recent years. Then again, plenty of men called John answered to Jack – not all, but many. John Wayne was always John, but President Kennedy was Jack. Beat poet Jack Kerouac was born Jean-Louis, and Jack Black? Thomas Jacob. Of course, Jack still trails John in the US. As of 2013, John ranked #27, while the nickname had climbed to #40. Jackson outpaced them both, at #16. Why does this name have so much appeal? Nowadays, parents are more willing to skip the formal name. But it’s more than that. Think of all the associations for the name: jackknife – the tool as well as the dive – jack-of-all-trades, jackpot, jackhammer, jack o’lantern. 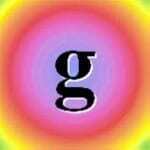 A few are negative – hijack, for one. But overall, there’s something very capable about Jack. London, that writer of adventurous fiction. Ryan, Tom Clancy’s military man turned CIA operative turned … well, I won’t ruin the series. Dawson, the handsome – and ill-fated – passenger on James Cameron’s 1997 Titanic. Bauer, the steady hero of television sensation 24. Sparrow, as in Pirates of the Carribean. As a pirate, he’s only sometimes heroic. Harkness, of Doctor Who/Torchwood fame, and Pumpkin King Skellington, of The Nightmare Before Christmas are also Jacks painted in shades of gray. Add it up, and the name is nearly irresistible – a down-to-earth name. Jack is friendly on a child, confidence-inspiring on an adult. And it probably fits a lot of parents’ definition of classic-yet-current. At #40, Jack can’t be called saturated – though throughout the UK and Australia, the name is far more popular, and holds the top spot in Ireland. But neither is this one unexpected. It’s a great name for a son, but as with any great name, he won’t be alone. Do you prefer this name on its own, or as a nickname for John (or Jacksono or Jonathan)? Do you think Jack is headed back to the US Top 20? 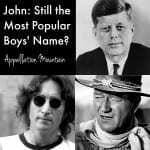 John: Still the Number One Name? A fictional heroic Jack is British naval captain Jack Aubrey, played on the big screen by Russell Crowe. I prefer John with Jack as a nn, the old-fashioned way. I have also known it as a nn for Jacob. The funny thing is now that our Zach is here, I’ve started really noticing how many kids named Jack are out there because it rhymes with my son’s name. At least in my community, Jack is a big time favorite. It’s not a name that will shock people but it does have this pleasant everyday guy sound.